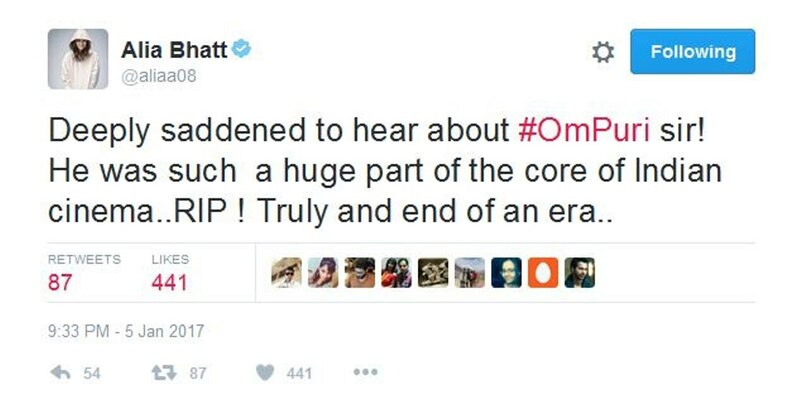 From Anupam Kher To Karan Johar ,Bollywood Mourns the loss of Om puri ; Say It’s a Huge Loss To Indian Cinema. 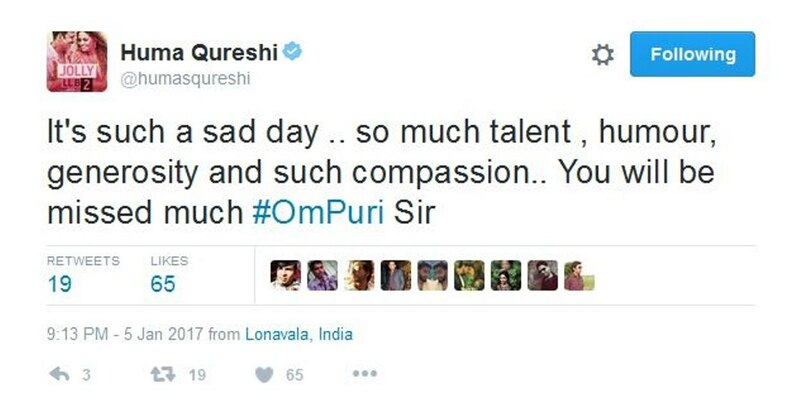 Complete Bollywood industry is currently in a state of shockin for loss of Om puri. 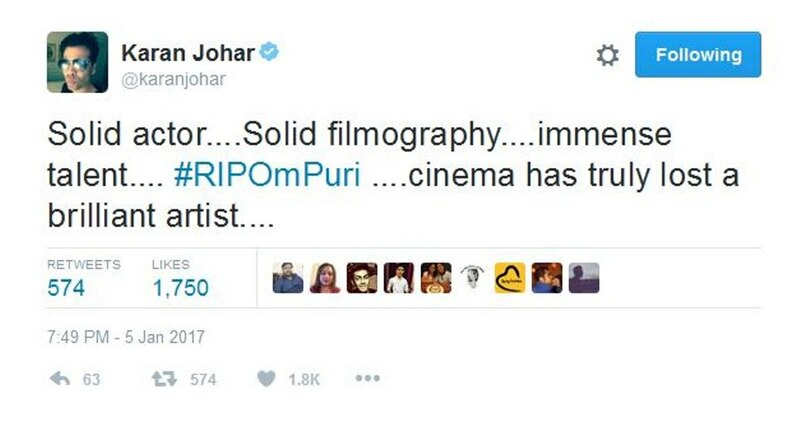 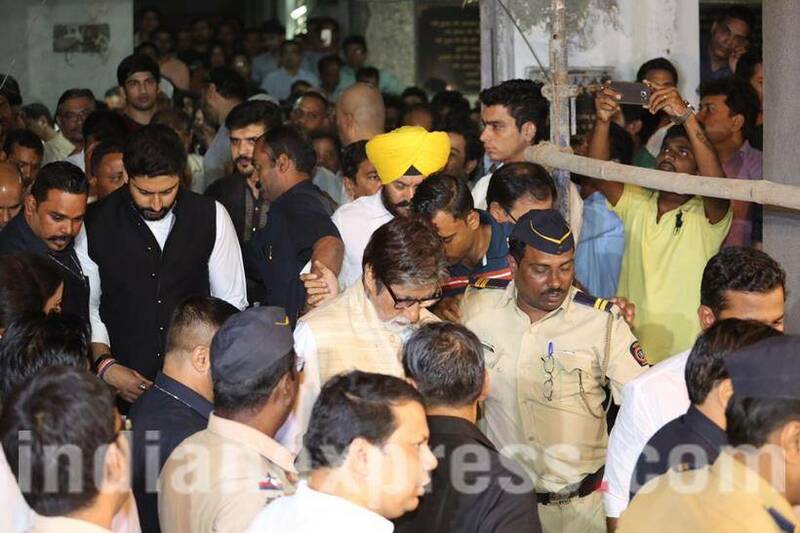 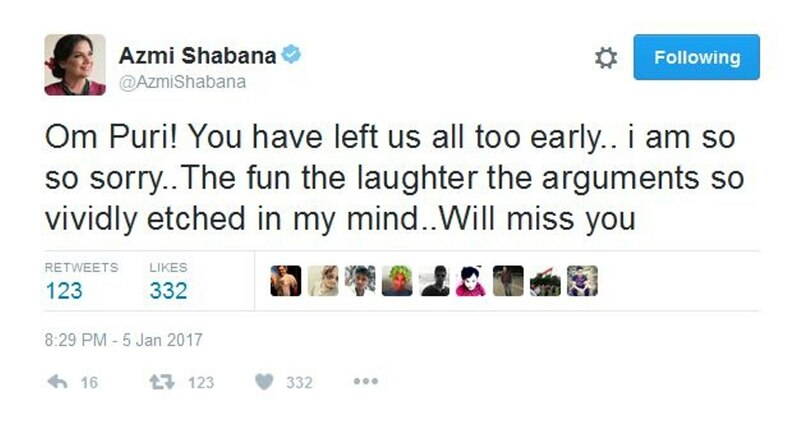 From Film maker Karan Johar to Anupam Kher, everyone has exressed their grief on this sad incident! 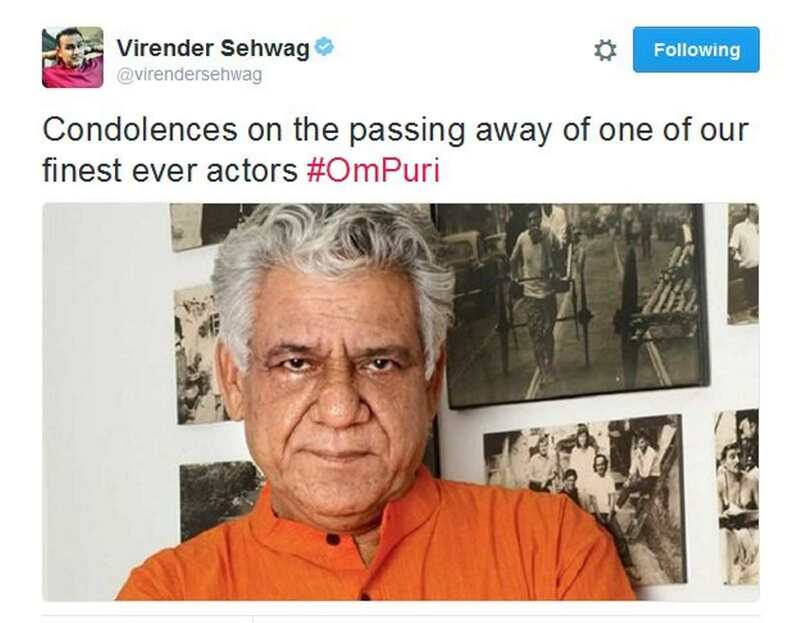 Complete Bollywood industry is currently in a state of shock witht he death of veteran actor Om Puri. 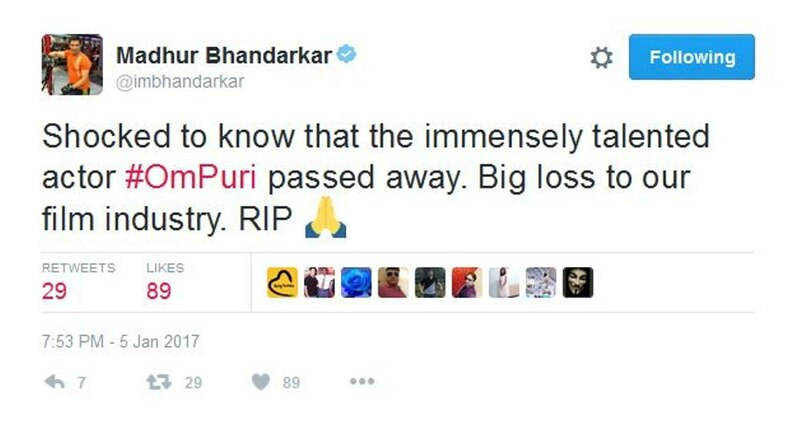 From Film maker Karan Johar to Anupam Kher, everyone has exressed their grief on this sad incident! 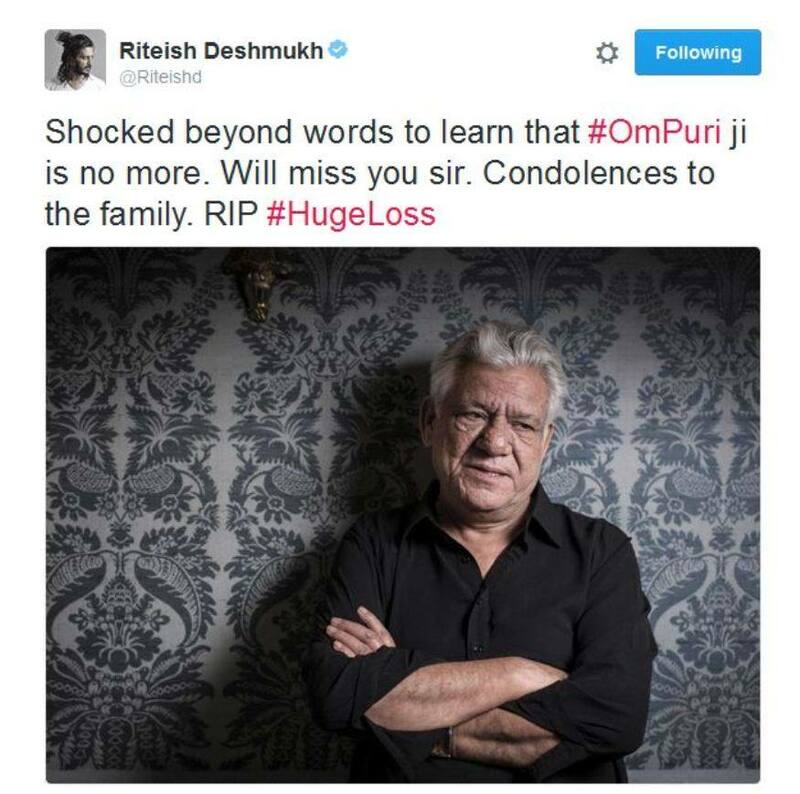 With a picture of Om Puri, Riteish Deshmukh expressed his grief. 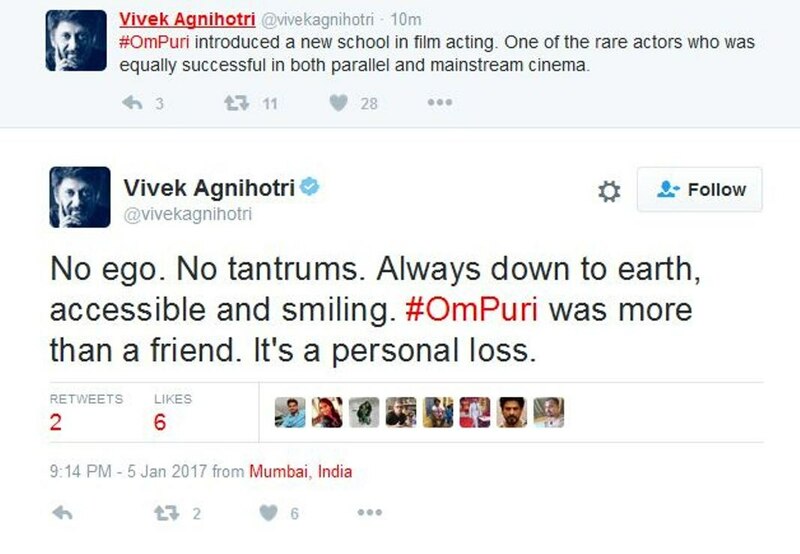 Vivek Agnihoti also expressed his grief over death of veteran actor. 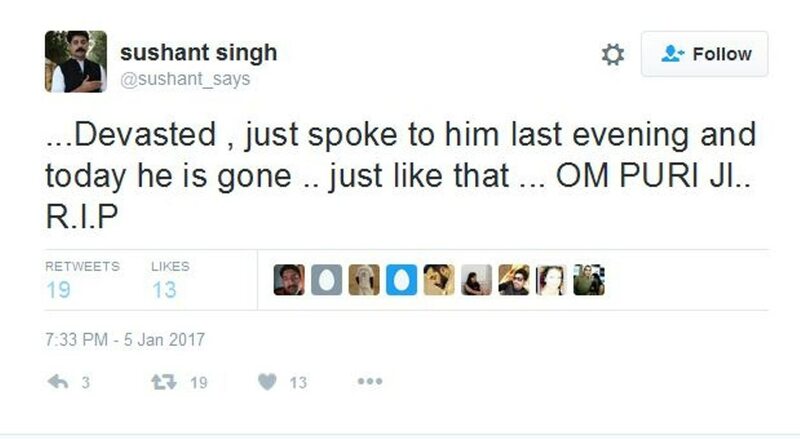 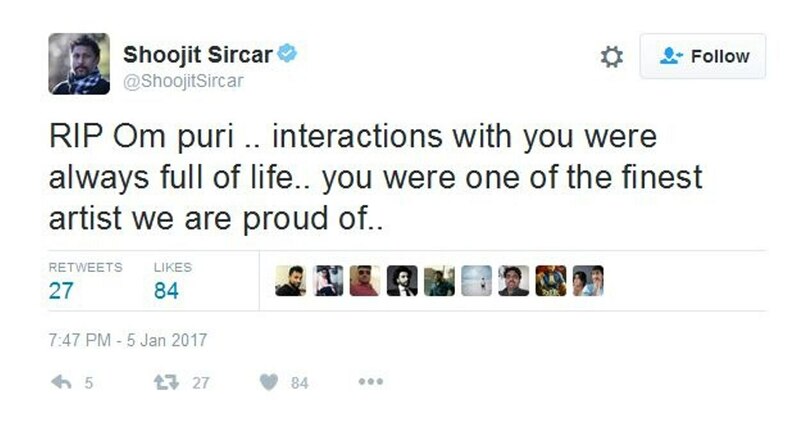 TV and Bollywood actor Sushant Singh informed that he had spoken to Om Puri last evening! 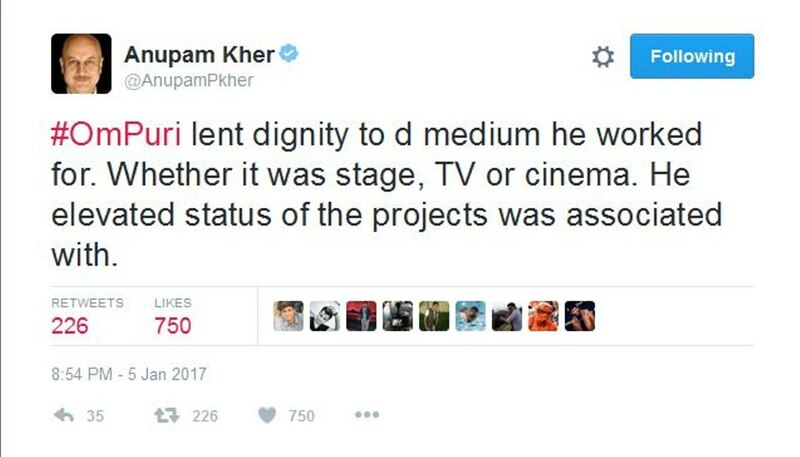 Comedy actor Rajpal Yadav, who has worked with Om Puri in several films expressed his pain. 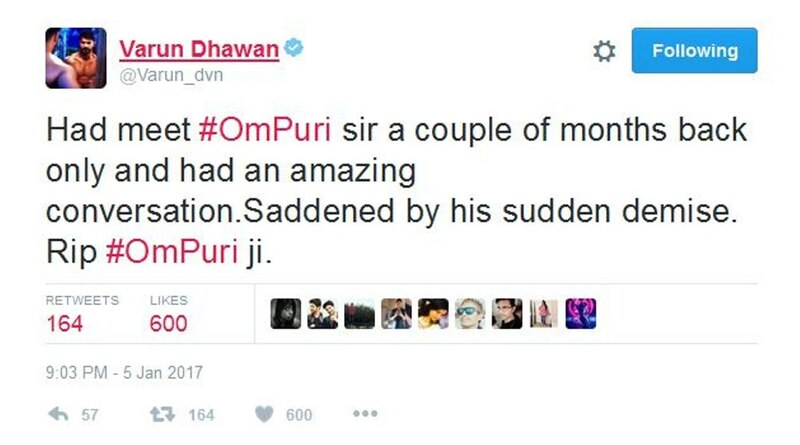 Akshay Kumar has worked with Om Puri in Hera Pheri and Singh Is King expressed his pain on Twitter.